Produktinformationen "Organic Chemistry with Vernier"
Organic Chemistry with Vernier contains experiments designed for use with Vernier data-collection technology in college organic chemistry courses. Experiments cover a broad range of topics and techniques including compound identification, synthesis, chromatography, optical rotation, and spectroscopy. 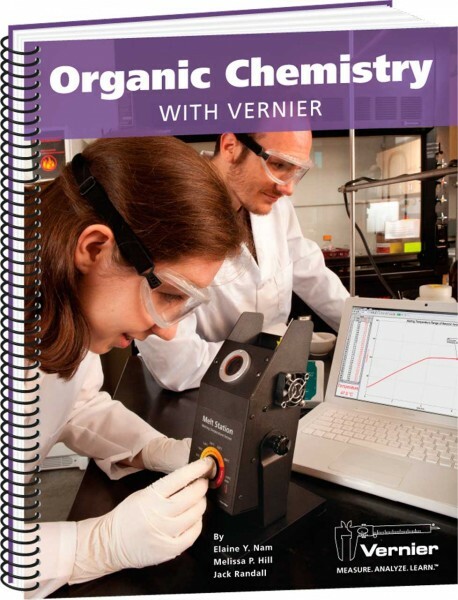 This book makes it easy for organic chemistry instructors to integrate Vernier data-collection technology into the organic chemistry lab curriculum. The experiments involve characterization of reactions and compounds using the Vernier Melt Station, Mini Gas Chromatograph, SpectroVis Plus, and the Polarimeter. Instructor notes include helpful tips for successfully completing the experiment, reagent preparation information, and sample data. Weiterführende Links zu "Organic Chemistry with Vernier"
Garantie(Jahre) "Organic Chemistry with Vernier"
Weitere Info "Organic Chemistry with Vernier"
Kundenbewertungen für "Organic Chemistry with Vernier"